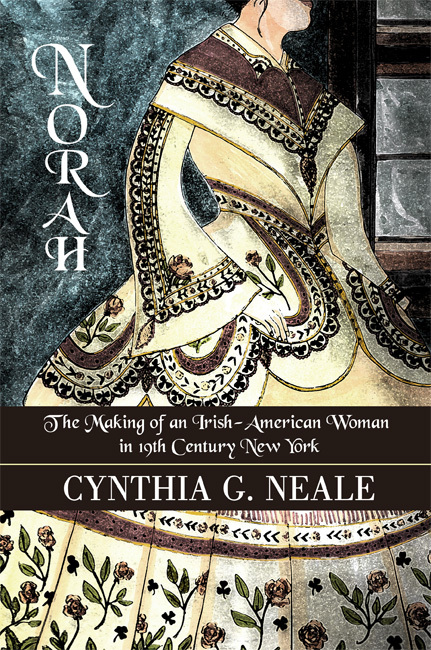 Norah: The Making of an Irish-American Woman in 19th Century New York by Cynthia G. Neale, tells of a young woman's struggle to understand how she fits into the new world in America, and what her home country of Ireland means to her. Norah McCabe arrives in New York from Ireland at a tumultuous time. After enduring the potato famine of 1845-1850, Norah is determined to make a new life for herself, and begins a business of selling used dresses. Norah sees that life in America is not all that she wishes it to be. The Irish emigrants are treated with little respect, and soon hunger finds her family in the promised land. When she is offered a job writing for a local newspaper, Norah is certain that she will be able to make a better life for her family. Her involvement with revolutionists plunges her deep within the underground of New York City with all of its cruelty. Out of this desperation rises hope for a better life, and a love for Ireland, the country she cannot forsake. Neale weaves a historical fiction that is both beautiful, and haunting. The words float off the page and play out like images on a movie screen. Norah's deep longing, and richly felt heritage flow through the prose. "She picked up the worn old instrument and held it near to her face and imagined the lilts of wild moon-lit music nights in Ireland as a child. The musical strains had made patterns on her soul that she had sought to cover up and smooth over with her new life in America, but now they were surfacing. She pressed the fiddle to her cheek and felt the wood's armor, warrior armor that had endured famines, storms and an ocean that had demanded sacrifice for survival" (p.134). Readers should be cautioned that Norah is an adult novel, and the adult content, though appropriate to the subject matter, is not intended for young adults or children. Neale wrote two prequels to Norah that are aimed at the young adult market. The Irish Dresser and Hope in New York City are as full of emotion and hope as the more recent Norah. 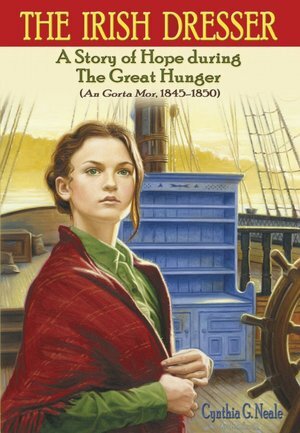 In The Irish Dresser, we meet Norah in her hometown, surrounded by friends and family who struggle to survive as The Great Hunger ravages through their potato fields, and their livelihood. Her fiery will and indomitable spirit carry her across the ocean as she stows away in the Irish dresser that allows her passage to a new world. 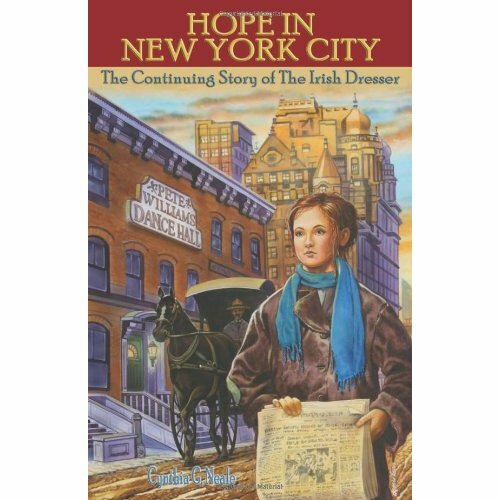 Hope in New York City continues the story as Norah finds that, although America may be a land of opportunity, there is much that the Irish emigrants can teach about poverty, racism and injustice. Cynthia Neale's books about Norah McCabe will appeal to those readers who enjoy experiencing history through fiction. Her books weave a captivating story and give historical information. Irish Dance Diet - Don't want to? Do it anyway.